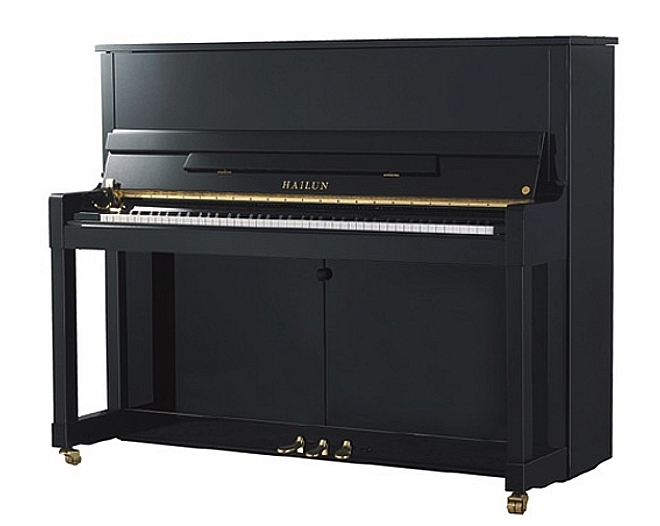 The Hailun HU-1 is the unrivaled 48" professional upright piano. It stands out for its clear, colorful tone, with seamless transitions of sound in all registers of the piano. The powerful and well-balanced sound offers the best instrument playing experience for beginners as well as advanced students. Its lines are elegant by design. The HU-1 beautifies any home surroundings while its sturdy construction makes it the perfect mid-size institutional or studio instrument. This piano comes in an ebony polish finish while the legs and the fallboard come in an elegant mahogany detailing. Finishes: Ebony Polish, Mahogany Polish, Walnut Polish. H: 122 cm / 48"
D: 60 cm / 23.6"